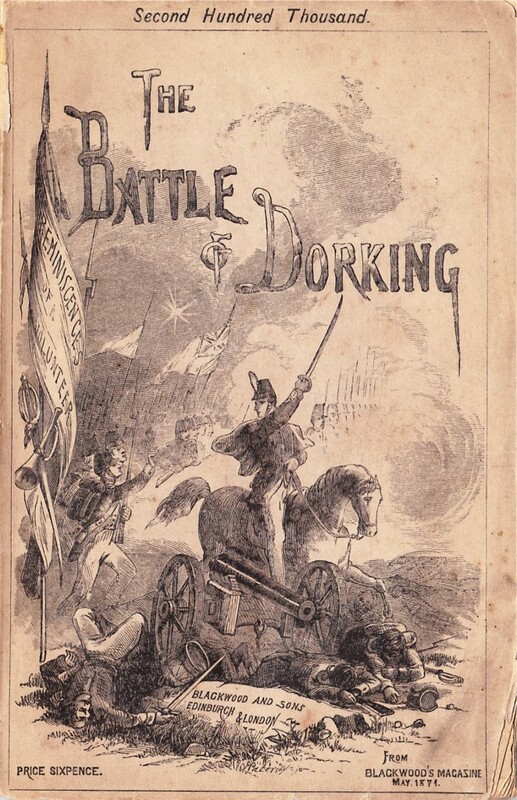 The fictional Battle of Dorking took place in 1875. Germany had defeated France and annexed Holland and Denmark. Britain declared war and Germany invaded an ill-prepared Britain. Troops came ashore at Worthing and began moving inland. Written by Sir George Chesney, The Battle of Dorking was published anonymously in Blackwood’s Magazine in 1871. In Chesney’s tale, a battle takes place at Dorking between the invaders and British defenders; Dorking occupies a strategically vital point between the troops’ landing point on the south coast and London. Failure to defend the heights of Ranmore and Box Hill on each side of the Mole Gap allows the invaders to pass through to London. Britain is left humiliated, its Empire lost. The story caught the public imagination. When reprinted it sold 80,000 copies and was translated into a score of languages. There was no immediate military response but in the 1880s forts were erected on Box Hill and Ranmore. Lord Ashcombe, owner of Denbies, provided the local volunteer force with land and funds for a drill hall. Though its notoriety arose from the concerns of its time – the birth of a unified Germany, the unfitness of the army, and the development of new means of transport and communication – the tale had a long life in public consciousness in both Britain and Germany. In the 1940s a German edition was issued to Hitler’s army under the title ‘Was England Erwartet’: What England Expects.